A recent paper in the Journal of Theoretical Biology[i] boasts a solution to the “Many steps in the evolution in cellular life.” The authors suggest that the ribosome, a cellular machine of tremendous complexity and specificity, may be an important link between cellular metabolism for life and the first living cell (or “last universal common ancestor”). 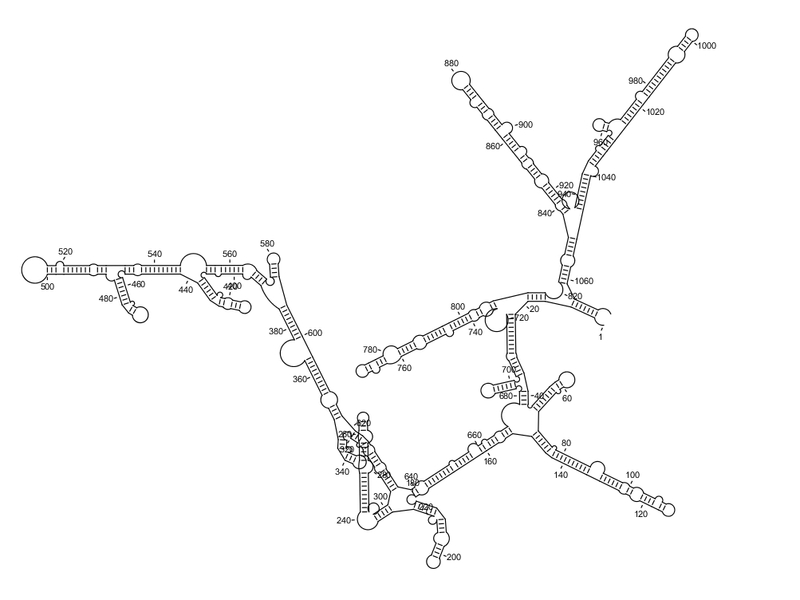 This new theory suggests that the RNA strands which comprises the scaffold for the 80 or so proteins that bind to it to create the functional ribosome has genetic information for the sequences that we now find in the DNA molecule for both the transfer RNAs (20 are made in modern cells, one for each amino acid, which facilitate protein assembly) as wells as some of the genetic information for coding for those 80 proteins that make up the ribosome itself. The idea is to find a system that is truly self-replicating, that would not be dependent on cellular life so to act as a precursor for cellular life. Rather than the selfish gene notion of Dawkins this would be a selfish ribosome notion. The ribosome would be acting as the catalyst for a cellular entity in which to selfishly house itself and replicate itself more effectively. 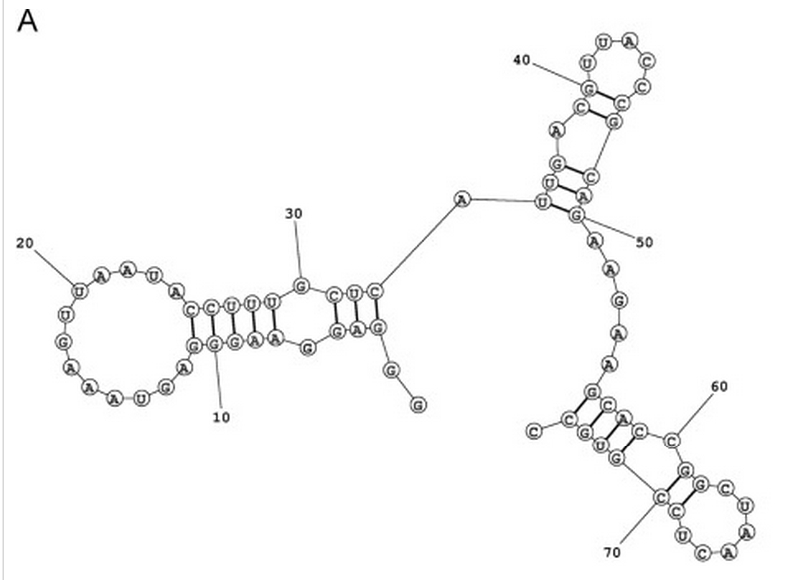 Two massive polymolecular units which combine to make the ribosome are needed for translation. The small unit is on the left and the large unit is on the right. Combined they represent 4 large RNA molecules with 70 proteins attached to the frame. The unit is a masterpiece of precision engineering… not a random association of stuff. 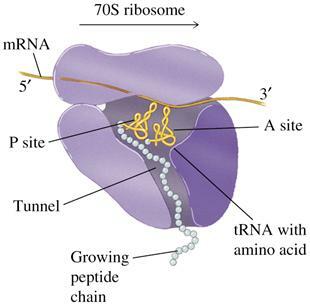 The over all function of the ribosome is to translate the RNA sequence into a protein sequence. The idea that is being proposed is that if it could be shown that the ribosomal RNA carries the genetic information, like DNA does today, for the production of all the components (or many of them) required to produce the 20 transfer RNAs, the many ribosomal proteins and even other supporting proteins (synthetases, polymerases, phosphatases, methylases) needed to make a functional ribosome AND still allow the a three dimensional assembly of that same ribosome RNA then what we have is a self-replicating system that acts both as the genetic databank for making itself as well as the ability to self-assemble to translate its genetic data into proteins for the replication of itself – without the need for a living cell! HOW THE PROCESS OF PROTEIN PRODUCTION OCCURS BY THE RIBOSOMES OF THE CELL. Single stranded RNA becomes double stranded through internal base pair bonding. These create bubbles, loops, hairpin turns giving the single strand three dimensional configurations. 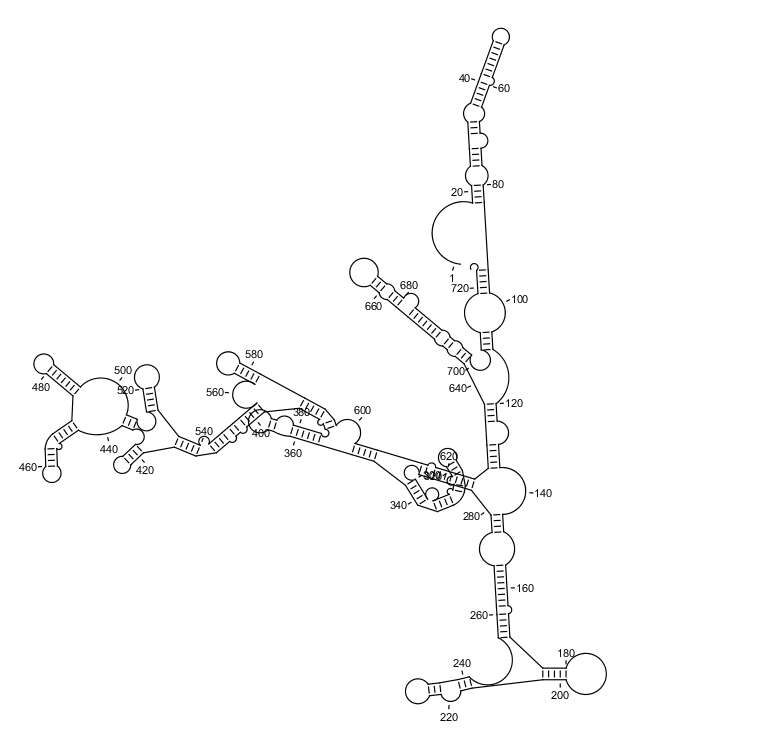 The promoter region of the pea ribosomal protein gene L9 as a transcript. I can also cut out those sequences that I don’t like and repeat the program. This might look meaningful but it is not. Even if the observation by these researchers had some credibility, the facts could have many different meanings than evidence of some evolutionary ancestry. One possibility is that the secondary structures formed in all RNA manufactured ensures stability or promote recognition by proteins that either sequester or enhance translation. Also, such secondary structures might be signals in the genes for all of these proteins and the rRNA; signals that regulate the assembly of the components of the ribosome as they are needed in order to perform quality checks or control over production of unwanted parts. It would make sense that any gene associated with the assembly of the ribosome has signals of some sort to coordinately regulate the production of each component as assembly proceeds. In 2000 I published a paper on the promoter region of plant ribosomal RNA genes and found a sequence in the promoter region that was found in all the genes for the ribosomal proteins as well as in RNA polymerases. This region was found in both orientations and on both the positive and negative strands of the genes. A second paper by another author suggested that the site is specific to those genes required for protein translation and must be involved in coordinately regulating some 200 components needed for the ribosome and their associated proteins to be produced. This makes sense for the thousands of ribosomal particles to be efficiently assembled saving the cell energetics and controlling cellular “costs”. To date, no one has described how the cell regulates each component of ribosomal biosynthesis for eukaryotic cells, though for the bacteria the process is well understood. not genuine or true; fake. 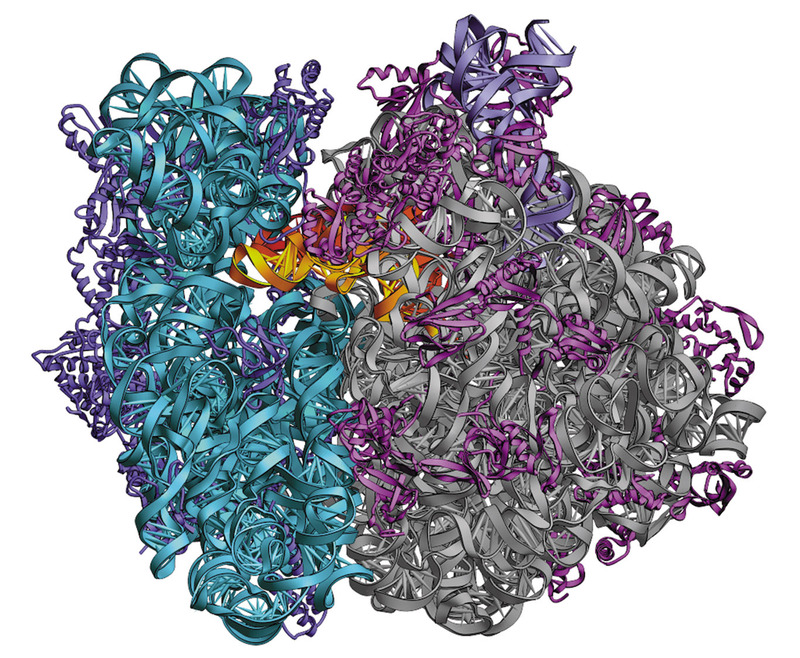 ahead of print] The ribosome as a missing link in the evolution of life. Root-Bernstein M(1), Root-Bernstein R(2).